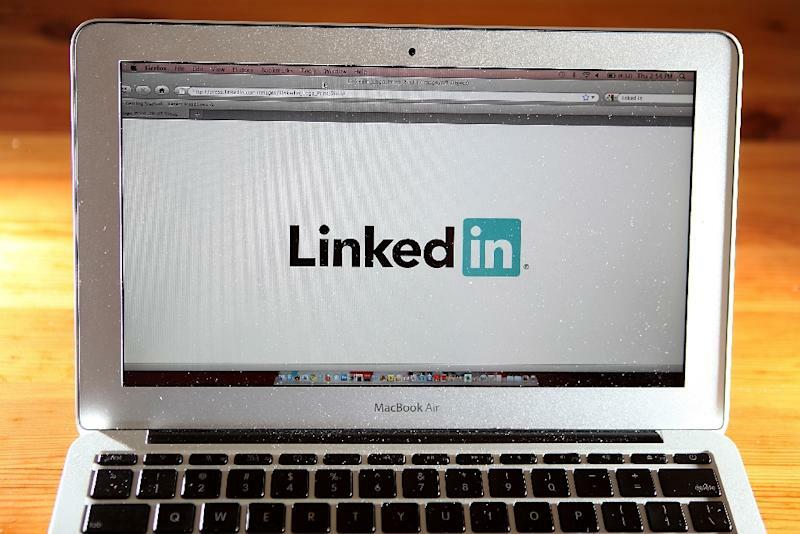 Moscow (AFP) - Russian internet providers on Thursday started blocking the LinkedIn professional networking site after a state watchdog found it broke a law on personal data storage. "The social networking site LinkedIn has been added to a register of violators... and submitted for blocking by internet operators," Roskomnadzor communications watchdog said in a statement on its website. Roskomnadzor's spokesman Vadim Ampelonsky said in televised comments that "in the course of today a large number of internet providers should block" the site. LinkedIn, in a statement sent to AFP, said it was "starting to hear from members in Russia that they can no longer access LinkedIn". The hashtag LinkedIn was topping the trends on Twitter in Russia as the news emerged. Russia has recently cracked down on the internet -- one of the few forums left for political debate -- including prosecutions over messages or images people posted or reposted on social networking sites. "Roskomnadzor's action to block LinkedIn denies access to the millions of members we have in Russia," the US-based company said. "We remain interested in a meeting with Roskomnadzor to discuss their data localisation request." Representatives of LinkedIn have asked to meet with Roskomnadzor and senior staff were settling a date, Ampelonsky confirmed to Interfax news agency. President Vladimir Putin's spokesman Dmitry Peskov told journalists Thursday that the blockage is "in strict accordance with the law" and the Kremlin will not interfere. LinkedIn, a US-based company, was acquired by Microsoft for $26 billion in June in the biggest ever deal for a social media company. It has over 467 million registered members, according to its website, including over six million in Russia. Leonid Volkov, opposition activist and founder of an NGO called Society for the Defence of the Internet, called the current standoff "a new page" in Russia's treatment of the web. "Roskomnadzor has never before had a mandate to directly confront IT giants," he wrote on Facebook. On November 10, a Moscow court rejected an appeal and upheld an August decision that LinkedIn broke a controversial new law that requires personal data of Russian users to be stored in the country. The ruling also told LinkedIn to stop giving users' data to third parties without informing them. The law prompted a storm of criticism from internet companies but entered into force in September 2015. LinkedIn is the first such service to be taken to court under the law. Putin's advisor on the internet German Klimenko told Rossiya-24 television he expected that "LinkedIn will meet the conditions and will be unblocked." He suggested that the law on personal data may also be "clarified" or "amendments will be submitted."